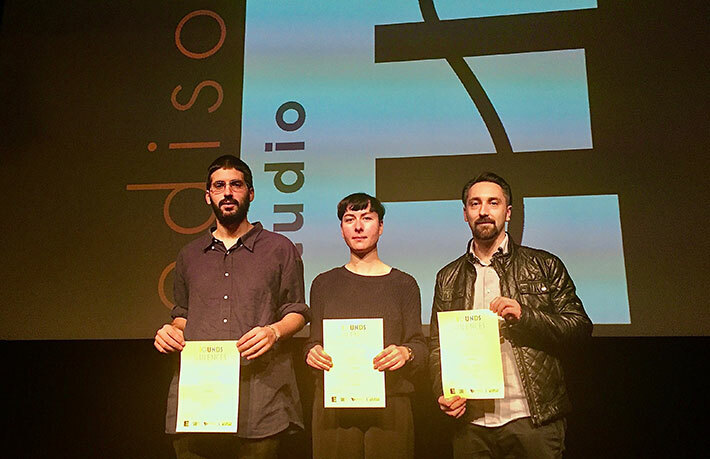 announces the results of the Sounds of Silences 2017 International Competition of Musical Composition for the Moving Image. In the preliminary stage of the competition entrants submitted an audiovisual work the musical part of which they themselves had composed. On October 28 in the framework of RomaEuropa Festival 2017 at Macro di Testaccio – La Pelanda (Rome), the five soundtracks were presented along with the 5 movies. After that, a second international jury composed by Alvin Curran (composer), Andrea Ravagnan (Cineteca di Bologna), Andrew Bentley (composer and professor at Sibelius Academy – Helsinki) Giulio Latini (Multimedia Communication professor at “Tor Vergata” University of Rome) and Stefania Lo Giudice (Romaeuropa Art and Culture Foundation), have awarded cash prizes to the 3 winners with the following motivations. The jurors also appreciated the high quality of the music of “Cops” (B.Keaton, 1922) written by Xavier Madore and of “Neighbors” (B.Keaton, 1920) composed by Gabriele Paolozzi. Sounds of Silences is organized by Edison Studio with the aim at making a valid contribution towards redefining the meaning, aesthetics and conceptual structures of silent cinema. New soundtracks can do more than simply “accompany” the images on the screen, but can reveal their hidden content, thereby giving a new voice to what would otherwise remain silent.